Cassia sticks are closely related to cinnamon. The sticks have a reddish brown colour and a warm, mild and sweet flavour, though it is significantly stronger than cinnamon. It is widely used in the United States. 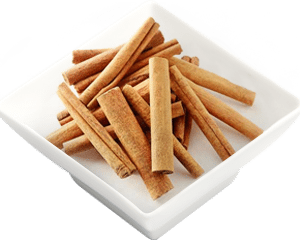 Cassia Sticks, also referred to as ‘Chinese Cinnamon’, is an aromatic bark similar to its close relative Cinnamon. The differences lie in the flavour and aroma of the spices with Cassia being the stronger of the two. Whilst being minor, to savvy cooks, the marginal differences can make all the difference in a dish. Cassia has may nutritional and health benefits due to the essential oils contained in its bark. It contains calcium and manganese as well as antioxidants. It helps to lower blood sugar and cholesterol and maintain heart health.